I hope you'll come join us for this fun challenge. Be inspired by the sketch above and play along at HLS May Sketch Challenge. The challenge is open for the whole month, so there's lots of time to play along. 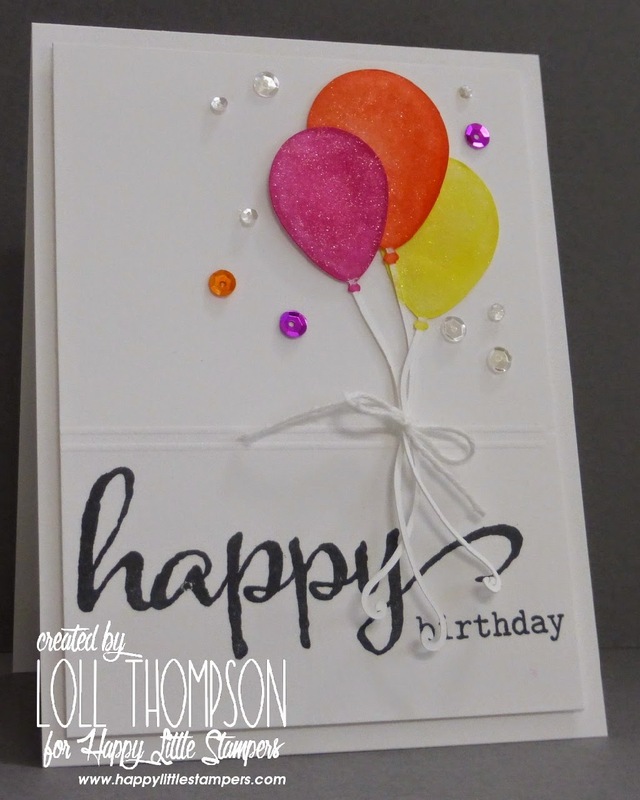 Wow, gorgeous card, love your balloons and their floaty-ness, who cares if its not a word it sounds great lol! Beautiful colour combination too. What a great sketch. Love those balloons and twine and sequins Loll. So glad you didn't have to start again, Loll! These sparkly balloons are spectacular. 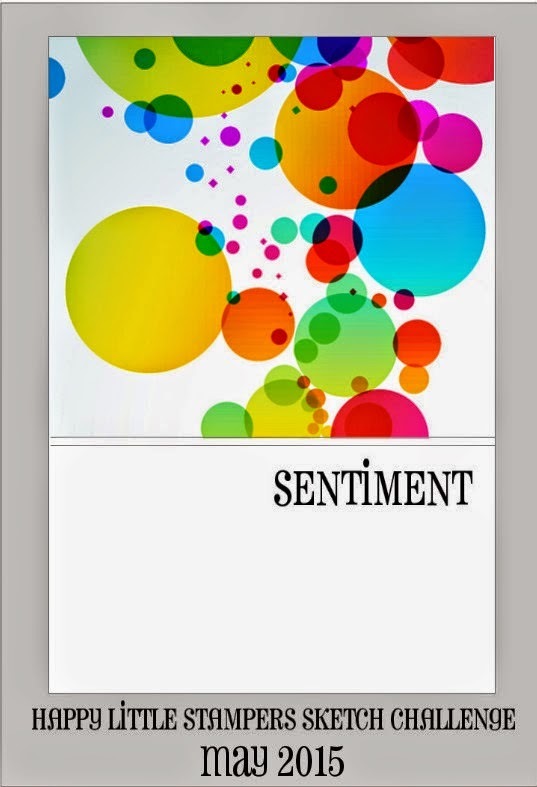 What a happy card! Thanks for sharing. Using all the sequins took the place of extra balloons and adds to the festivity of the card, Loll. Love the score lines separating the sentiment from the image. I never think to do that. 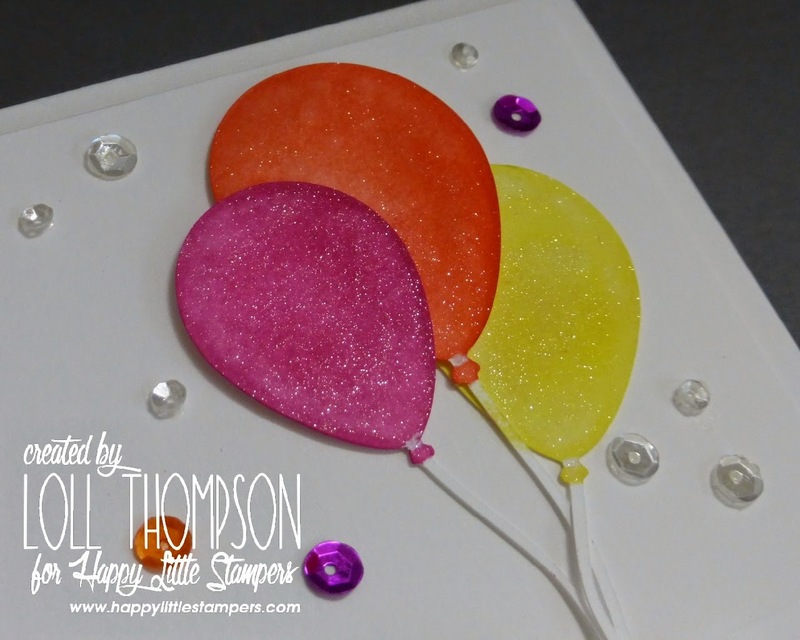 I adore those balloons with their fabulous sparkle! Glad to you save this beauty, Loll! I love how you interpreted this sketch, Loll! The sparkly balloons and sequins capture it beautifully! What a fun card! Love your take on this sketch. Those sparkly balloons are fabulous and fun! those shimmering balloons r so cute.